New York, NY (RestaurantNews.com) The James Beard Foundation announced today its list of Restaurant and Chef Award semifinalists in advance of the 29th annual James Beard Awards. The prestigious group of semifinalists across all categories represents a wide collection of culinary talent, from exceptional chefs and dining destinations nationally and across ten different regions to the best new restaurants, outstanding bar, outstanding baker, and a rising star chefs 30 years of age or under. The full list of 2019 semifinalists can be reviewed at the end of the press release or directly at the James Beard Foundation website. The 2019 James Beard Awards are proudly hosted by Choose Chicago and the Illinois Restaurant Association and presented in association with Chicago O’Hare and Midway International Airports and Magellan Corporation as well as the following partners: Premier Sponsors: All-Clad Metalcrafters, American Airlines, HMSHost, Lavazza, S.Pellegrino® Sparkling Natural Mineral Water ; Supporting Sponsors: Hyatt, National Restaurant Association , Robert Mondavi Winery, Skuna Bay Salmon, TABASCO® Sauce, Valrhona, White Claw® Hard Seltzer, Windstar Cruises; Gala Reception Sponsors: Dogfish Head Craft Brewery, Ecolab, Front of the House®, Kendall College, Segura Viudas USA with additional support from Chefwear, Loacker and VerTerra Dinnerware. The James Beard Foundation’s mission is to promote good food for good . For more than 30 years, the James Beard Foundation has highlighted the centrality of food culture in our daily lives. Through the James Beard Awards, unique dining experiences at the James Beard House and around the country, scholarships, hands-on learning, and a variety of industry programs that educate and empower leaders in our community, the Foundation has built a platform for chefs and asserted the power of gastronomy to drive behavior, culture, and policy change around food. To that end, the Foundation has also created signature impact-oriented initiatives that include our Women’s Leadership Programs, aimed at addressing the gender imbalance in the culinary industry; advocacy training through our Chefs Boot Camp for Policy and Change; and the James Beard Foundation Leadership Awards, which shine a spotlight on successful change makers. The organization is committed to giving chefs and their colleagues a voice and the tools they need to make the world more sustainable, equitable, and delicious for everyone. 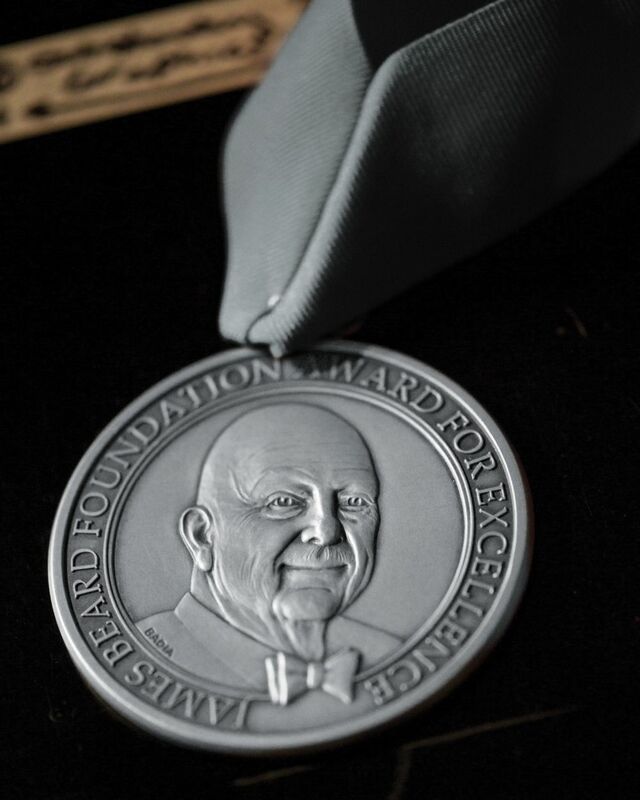 For more information, please visit jamesbeard.org and follow @beardfoundation on Instagram, Twitter, and Facebook.